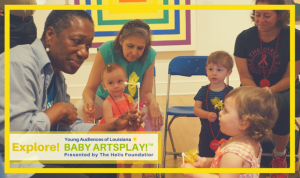 Instill a love of art at a young age through a guided, hands-on gallery experience. Young Audiences Wolf Trap teaching artists will present a series of six workshops for caregivers and children ages 0-3. Learn how to integrate music, movement, and drama into everyday playtime to foster children’s developmental growth. Advance registration required.